Centrifugal force has always been used for the separation in continuous of the suspended solid particles contained in the natural juices. 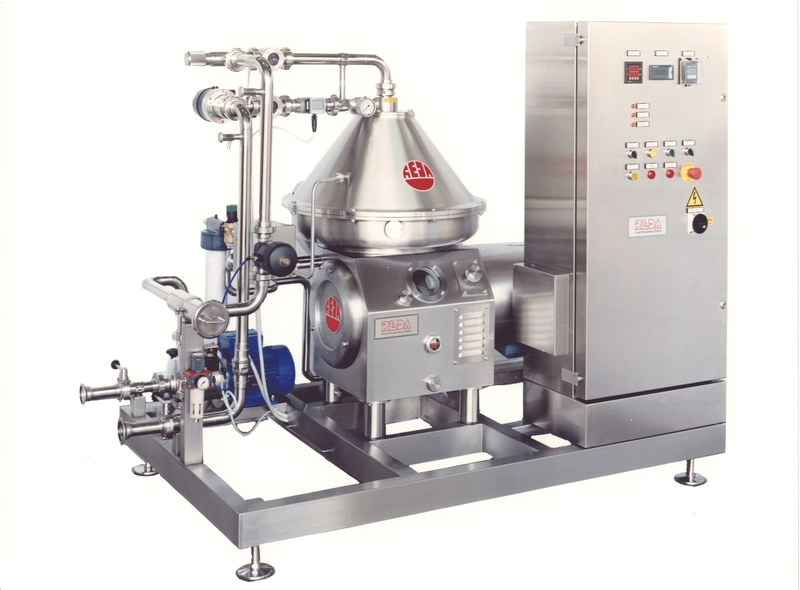 The separators of REDA S.p.A. for fruit juices and other beverages are expressly studied for the product clarification and concentration from these substances (pulp, filaments, particles, et cetera). The typical applications of these processes are referred to products as citrus fruits, apple, pear, peaches, berries, grape, tropical fruit juices. High efficiency of clarification and concentration. Workmanship in continuous without interruption of the process phases. Functioning in automatic without any need of manpower intervention. Full construction in stainless steel. For any question or application for further information, the special form in the area contacts can be used.